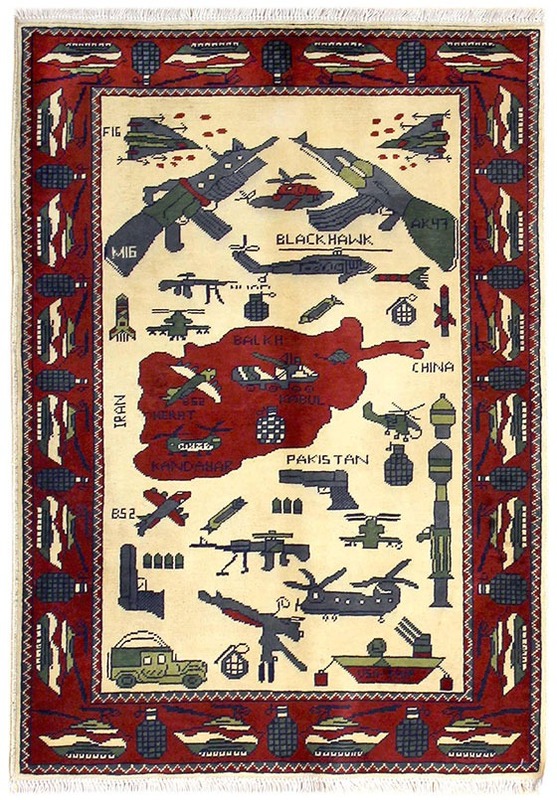 The tradition of war rugs originated in Afghanistan during the Soviet occupation in the 1980s. The iconography of the war came to form part of the ornamentation of the rugs like any other reference to Afghan life represented previously. The fascinating thing about these pieces is that they are woven by women isolated in their homes, so the interpretations they offer are relating to specific events of the war and are transfigured according to the viewpoint of each one.